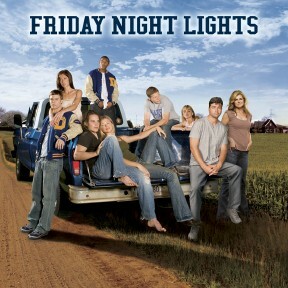 This week I have sacrificed precious hours of sleep watching endless episodes of Friday Night Lights. A friend of mine lent me Season 1 months ago and now that I have an operational DVD player, I finally watched got sucked into it. Staying up way past my bedtime watching this show (even stayed up till 2 am one night!) has forced me to switch my workouts from early mornings to afternoons/evenings. I am naturally an early riser and over the years, 6 am workouts have become second nature to me. But I must say, I have really enjoyed the afternoon workouts this week. * I am not pressed for time (although I've still managed to be late for work, per usual). * I am more awake and alert. * I don't have to worry about coming face-to-face with a raccoon. * I can see where I am running (I really need a headlamp with a stronger bulb). * I enjoy having an extra hour of sleep and restful quiet time in the mornings. Although I had a great run on Tuesday, yesterday's run wasn't the best. I forgot that I was running after work and kept eating junk all afternoon. One thing that I've learned in dealing with GI issues is that I can't eat within 1-2 hours of running. I had a little bit of discomfort on yesterday's run, but it was only for an hour so I didn't suffer too much. This is definitely something I need to learn to consider for afternoon workouts. This morning I meant to get up, mosey on into the other room and spend 1+ hours on the bike trainer. But yesterday was a triple workout day (Vinyasa Yoga + 6-mile run + Strength Training session with my Trainer) and I was just too tired to get out of bed. So instead, I'm enjoying a quiet morning writing this blog post and will get the workout in this evening (while watching more FNL!). I can't say I'm now going to become exclusively a PM workout person, my schedule just doesn't allow for it. But it has been nice to experiment with it and I'll be factoring it as an option - at least through the Fall and Winter when the afternoon temperatures are cooler.